That’s Intriguing #91: Winning Super Bowl Ads: Who Says You Can’t Say Anything in 60 Seconds? The good news is, we came up with a 60 second opening that not only got the interest and respect of that audience, it helped Kathleen Callendar of Pharma Jet land millions in funding and become selected as one of Business Week’s Most Promising Social Entrepreneurs of 2010. So, what does that have to do with Super Bowl Sunday? USA Today editors just selected the top 25 Super Bowl ads of the past 24 years … and all of them are 60 seconds or less. Chances are, if you’ve seen them, you remember them and remember them … fondly. They prove you can pack a lot into 60 seconds. You can win buy-in from target decision-makers, tell a compelling story and keep your brand and message top-of-mind, years after the fact. What’s a communication you’ve got coming up? 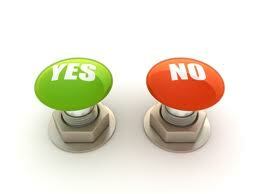 A communication in which you want to win buy-in from decision-makers and customers? In this day and age of instant gratification, you will already have lost the hearts and minds of your audience if you start with … INFObesity. Instead, jump into something intriguing that gets people’s eyebrows up. It’s the single best thing you can do to make sure your pitch, presentation, commercial or communication wins buy-in for what you care about. Want good news? My E.Y.E.B.R.O.W. TEST system shows you how to earn the attention and respect of any audience … in 60 seconds or less. Discover for yourself why these techniques have been won raves from clients around the world (London, Geneva, Toronto and throughout the U.S.) and have helped people receive millions in funding while helping their products, services and business break out instead of blend in. Purchase it today to instantly have these E.Y.E.B.R.O.W. TEST tips at your fingertips … so you can have people at hello next time you want their attention and respect. That’s Intriguing #65: What Did FastCompany.com Say in Their Interview of Sam Horn About Winning Buy-In To Your Idea in 60 Seconds? 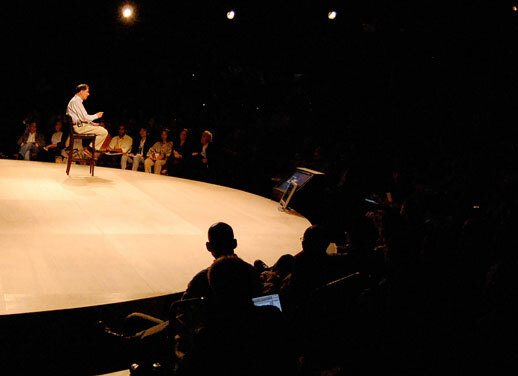 Do you have an idea you’re pitching? A venture or cause you’re trying to get funded? What are you going to say in the first 60 seconds to get your busy decision-makers’eyebrows up? If you stick to what they already know; you’ll sell your idea, venture or cause short because your listeners will have tuned out and moved on. People are so busy these days, if we don’t pleasantly surprise them in the first minute with something they don’t know – but would like to know – it’s NEXT! Adrian Ott, an expert blogger for FastCompany.com, interviewed Sam about her innovative approaches to motivating people to give you their valuable time, mind and dime. What’s something you care about? If you want other people to care about it, use these techniques on “How To Gain Buy-In To Your Idea in 60 Seconds” to capture your decision-makers’ undivided attention so your idea, venture or cause gets the respect – and buy-in – it deserves. One of the best conferences I’ve ever attended was BIF-6, held in Providence, RI and hosted by Saul Kaplan of the Business Innovation Factory. Saul Kaplan of the Business Innovation Factory. Each presented a TED-like 18 minute presentation introducing their latest invention or insight. I was on the edge of my seat the entire two days. I’ll be featuring some of their intriguing stories in upcoming blogs. For now, I want to share the opening of the individual who did the best job at winning buy-in the first 60 seconds. Nope. The person who had us at hello was a surprise. She walked to the center of the stage, centered herself (literally and figuratively) and stood tall and confident until everyone in the room gave her their undivided attention. “Well, we 7th graders know a thing or two. Like,” and here she spoofed herself, “how to flip our hair.” At this point, she tossed her long hair over her shoulder. The crowd laughed, (with her, not at her). Everyone was instantly engaged and impressed with this young woman’s moxie and presence. “We also know we have the power to make things better if we put our minds to it. For example . . . ” and she was off and running. 12 year old Cassandra Lin had us at hello. The Cliff Notes version of her story is that she and her class discovered the clogged sewer pipes in their city were the verge of causing a disaster because so many restaurants and industrial companies were pouring their F.O.G (Fat, Oil, Grease) down the closest drain. After doing some resarch, she and her classmates started T.G.I.F – Turn Grease into Fuel – an award-winning recycling effort that generates money for needy families. You can find out more about her brilliant social entrepreneurialism in the BIF-6 Summit Book and also find out how to register for this year’s BIF-7 summit. Why did Cassandra have us in the palm of her hand in 60 seconds? She anticipated what her audience might be thinking – and said it first. She anticipated these successful executives and entrepreneurs might be a bit skeptical that a 12 year old could have anything valuable to contribute – so she addressed it and neutralized it up front. She established instant credibility and earned the respect of everyone in the room. How about you? Are you giving a presentation in the near future? Who are your decision-makers? Will they have their mental arms crossed? If so, SAY WHAT THEY’RE THINKING. If you don’t voice what’s on their mind, they won’t be listening. They’ll be resisting everything you say. For example, if they’re thinking, “I can’t believe you’re asking for money. We don’t have any left in our budget” . . . then guess what your first words better be? Now you have your audience at hello . . . and now your idea has a chance. That’s Intriguing #45: How Can I Turn a No into a Yes? Make it easy for him to say yes. He said, “Ok, how do they think and what’s important to them? “What’s important to every retail business owner – whether that’s a bookstore, dry cleaner, florist or restaurant – is having paying customers onsite or online buying their services and products. “Here’s how. When you walk into the store, wait until the owner is finished taking care of paying customers so you’re not pulling him away from his #1 priority. Three minutes of your time? “He’s probably too polite to mention it, but it lets him know you know the school band, scout troop and local charities are constantly asking for donations. “You’re right. It at least motivates him to keep listening because this time-sensitive approach is so rare and welcome. The participant asked, “What if he isn’t convinced? “Good idea. That will put even more ‘cheeks in the seats.’ Keep thinking, because the more ways you can make this a win for him, the more likely he is to say yes. For example, if one of your team parents is a good photographer, you can sweeten the pot by saying you’d be happy to arrange for someone to take photos of the soccer pro with customers in front of the bookstore’s logo for $5 a pop. That money will go toward the soccer team, making it even more of a successful fund-raiser . . . plus, it would give the bookseller a long tail of good will because those photos will stay on people’s refrigerators for a long, long time. Want more ways to quickly win buy-in to a priority project? Contact us at Cheri@SamHorn for details on Sam Horn’s upcoming teleseminar on Win Buy-In: Get Anyone Intrigued in Anything . . . in 60 Seconds.